Dexter Daily: POLL: What Did You Think of the Latest Dexter Season 8 Promo: 'Masterpiece'? POLL: What Did You Think of the Latest Dexter Season 8 Promo: 'Masterpiece'? Showtime keeps releasing amazing teasers/promos for the final season of Dexter. The latest one, is called 'Masterpiece' and shows us Dexter looking at his own killer art gallery, with painted portraits of his most known victims lining the walls. What did you think of it? Vote below! 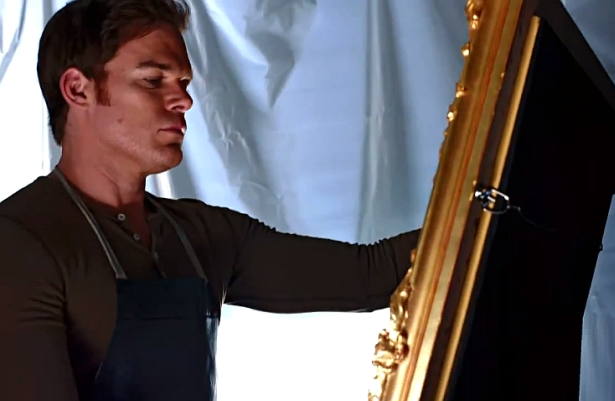 What did you think of the latest Dexter Season 8 promo, "Masterpiece"?